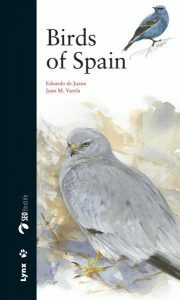 English version of Aves de España the most popular Field Guide to the identification of the birds of Spain. 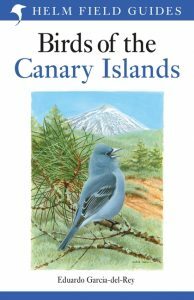 This beautifully illustrated guide covers all the birds found in the islands, providing concise descriptions for easy identification and plates for easy identification of all species. It’s the perfect guide for any visitor to these sun-kissed islands. Artist/Author: De Juana, Eduardo and Ernest Garcia. The Iberian Peninsula is one of Europe’s most ornithologically varied regions offering a host of regional specialities. It includes famous birding hotspots such as the Coto Donana wetlands, mountainous areas such as the Picos de Europa and the Pyrenees, the Mediterranean cork and holm oak forests of the southwest, the migration crossroads of the Strait of Gibraltar and the steppe-like plains of Extremadura and Alentejo. Large numbers of birders from around Europe visit the region to see this wealth of winged wildlife, but to date there has been no comprehensive regional avifauna in English. 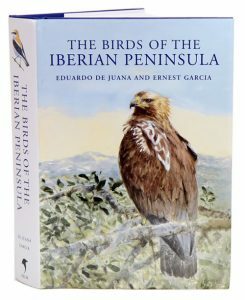 Full-colour throughout, the book begins with authoritative introductory chapters covering subjects such as geography, climate, habitats, the history of Iberian ornithology and the composition of the avifauna. The species accounts then cover every species recorded in mainland Spain, the Balearic Islands, Portugal, Gibraltar and Andorra, including the many vagrants. For each species there is detailed treatment of distribution – with maps of breeding and wintering ranges – habitat selection, population trends, historical and current status, migration and conservation. Artist/Author: Svensson, Lars, Killian Mullarney, Dan Zetterstrom, and Peter J. Grant. Large format, with expanded text and additional colour illustrations, the second edition of the hugely successful Collins Bird Guide is a must for every birdwatcher. The book provides all the information needed to identify any species at any time of the year, covering size, habitat, range, identification and voice. Accompanying every species entry is a distribution map and illustrations showing the species in all the major plumages (male, female, immature, in flight, at rest, feeding: whatever is important). In addition, each group of birds includes an introduction which covers the major problems involved in identifying or observing them: how to organise a sea watching trip, how to separate birds of prey in flight, which duck hybrids can be confused with which main species. These and many other common birdwatching questions are answered. The combination of definitive text, up-to-date distribution maps and superb illustrations. 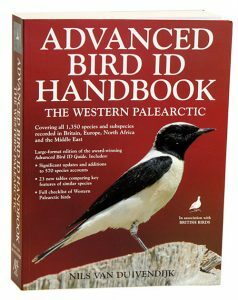 Advanced bird ID handbook: the western Palearctic. Has been described by leading authorities as ‘ground-breaking’, ‘innovative’ and ‘brilliant’, and scooping the prestigious Birdwatch Magazine Bird Book of the Year Award 2010. 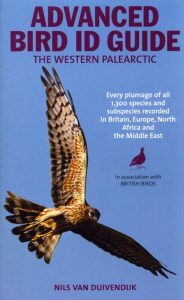 This guide accurately describes every key detail of every plumage of all 1,350 species and subspecies that have ever occurred in Britain, Europe, North Africa and the Middle East – the region known as the Western Palearctic. Its level of detail is unprecedented for a book of its size. 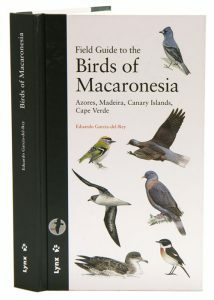 This book broke the mould for field guides as it contains no colour plates or illustrations, but instead its unique selling point is that for every species the detailed text lists the key characters of each recognizable plumage, including male, female, immature, juvenile, all subspecies and all other variations. This level of detail includes, for example, all eleven forms of ‘Canada goose’ and all eleven forms of ‘yellow wagtail’ known in the region. 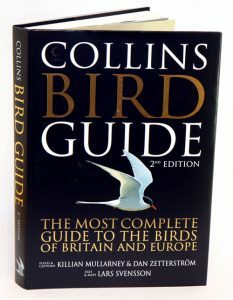 The detailed yet concise nature of the guide means that it has become an instant classic, with many birders, including the reviewer for Bird Guides, buying two copies: one for the field and one for reference to keep at home. This handbook is intended as a reference companion for the original field guide. It has larger and more widely spaced text, and more than 100 additional pages, making it much more easy to use. In addition it has been fully updated with additions and amendments to the accounts of nearly every species, all recent taxonomic changes and new species in the region taken on board, and more than 20 tables giving side-by-side comparisons of the features of sets of similar species. There is also a full checklist of Western Palearctic species. 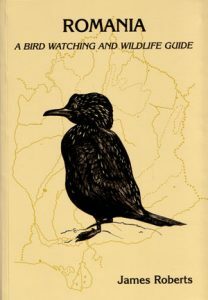 Again the book will be endorsed by the renowned journal “British Birds”, which has been running for more than 100 years and which has a dedicated and enthusiastic readership. Includes the Atlantic islands of Macaronesia, a region which covers the archipelagos of the Azores, Madeira, the Savage Islands, the Canary Islands and Cape Verde. Describes 573 species and subspecies, covering all resident, nesting, migrating and vagrant birds. More than 230 detailed distribution maps. This innovative guide will be an essential addition to the library of any serious birder. 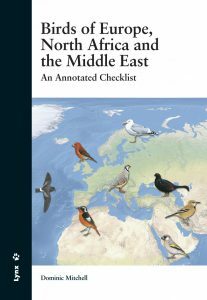 It accurately describes every key detail of every plumage of all 900 species that have ever occurred in Europe, North Africa and the Middle East – the region known to all birdwatchers as the Western Palearctic. Its level of detail is unprecedented for a book of this size, and it will be sought after by all bird enthusiasts. 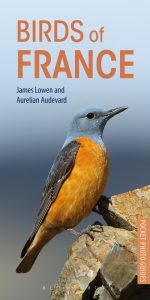 A large number of existing bird field guides cover Europe and the Western Palearctic. This, however, is a guide with a difference. It has no colour plates or illustrations, but instead its unique selling point is that for every species the detailed text lists the key characters of each recognizable plumage, including male, female, immature, juvenile, all subspecies and all other variations. This level of detail includes, for example, all eleven forms of Canada Goose and all nine forms of Yellow Wagtail known in the region. In the past such in-depth detail has only been available in huge multi-volume tomes such as Birds of the Western Palearctic. This guide enables birders to take this information into the field for the first time., The detailed yet concise nature of the guide means that the original Dutch edition of this title became an instant classic when it was published in 2002. 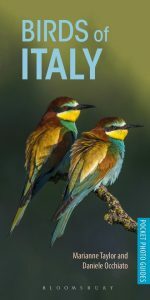 UK birders who know of the Dutch edition have been eagerly awaiting an English-language version for many years, so this is an exciting opportunity for New Holland in terms of publishing a cutting-edge bird book. The book will be endorsed by the renowned journal “British Birds”, which has been running for more than 100 years and which has a dedicated and enthusiastic readership. Artist/Author: Kirwan, Guy et al. Turkey is a popular destination for birders and tourists, and although there has been much published on its birds over the past 40 years, there has never been a comprehensive avifauna. 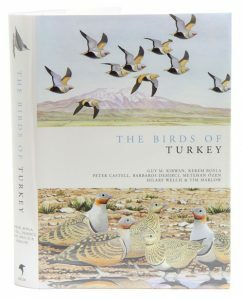 This book contains a detailed account of every species on the Turkish list, with a full breakdown of records and status, distribution in Turkey, and taxonomy. There are also authoritative introductory chapters on geography, climate, habitats, history of ornithology and conservation. The communist regime which put so much of eastern Europe off-limits to wandering birders was paradoxically good for the birds and other forms of wildlife – that is the inescapable conclusion from reading this book. The prevention of development of agricultural practice, and preservation of forests and many wetlands have resulted in eastern Europe being disproportionately important for wildife. The world’s most extensive reedbeds are in Romania, in the Danube Delta. From a pan-European point of view, the most important populations of Pygmy Cormorants, White Pelicans, Red-backed Shrikes, Wolves, Bears and many other species are all here. This book is the key to going about finding these and every other species. There are 56 numbered sites described in detail but in practice around twice this number. This is a highly readable work; a huge amount of information is presented in a structured and palatable way. The result of a vast amount of wide-ranging field research in every corner of the country, plus access to Romanian texts over a period of eight years, many of the sites described are hitherto unheard of beyond the country’s borders. The guide provides information on Romania and Moldova’s mammals, fish, reptiles, amphibia, butterflies and botany, also details of accommodation near every bird site. With a species by species survey of all vertebrates occurring in Romania, including vagrant birds. It contains over sixty detailed birdwatcher’s site maps with specific information on entry into the Danube Delta. Even if you had not thought of visiting Romania, this may well persuade you. And even if you never go, this is an important work on the ecology and conservation of one of Europe’s greenest countries, with an importance far beyond its boundaries.